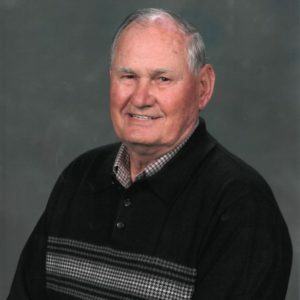 Samuel Thomas “ST” Scroggs, 90, passed away peacefully at his home Thursday, January 10, 2019. He was born in Seneca August 8, 1928, a son of Paul H. and Ethel Rose (Hughes) Scroggs. His livelihood was in textiles for 45 years. He worked hard to provide for his family. ST loved being a farmer. Nothing brought him more joy. His wife, Rev. Evelyn Edgar Scroggs was an ordained minister and ST was a co-minister with his wife, supporting her in her ministry. He enjoyed hunting, fishing, watersports when he was younger, hiking and camping. He loved his senior social group at the Newry Church of God. ST is survived by two daughters, Phyllis Durham and husband Bill of Easley and Marcia Harrell of Gastonia, NC; a son, Greg Scroggs and wife Marilyn of Anderson; son-in-law, Raymond Duane Harrell; grandchildren, Matthew Nix and wife Lindsay, Brandon Harrell and Morgan Floyd, Andrew Harrell, Weston Scroggs and wife Caitlan, Kyle Scroggs, and nephew, Tommy Sluder; great grandchildren, Colbi and Jaxon Scroggs, and Mattie, Evie and Olin Nix; and many nieces and nephews. In addition to his parents, he was predeceased by his wife of 54 years, Evelyn; sisters, Irene Barton, Juanita Vickery, Ruth Johnson, Charlene Leopole, Ava Brush, and Betty Owens. Funeral services will be held 2:00 PM Monday, January 14 at the Newry Church of God, 234 Newry Road, Seneca. Interment will follow at the Oconee Memorial Park. The family will receive friends 2-4:00 PM Sunday, January 13 at the Duckett-Robinson Funeral Home, 108 Cross Creek Road, Central.